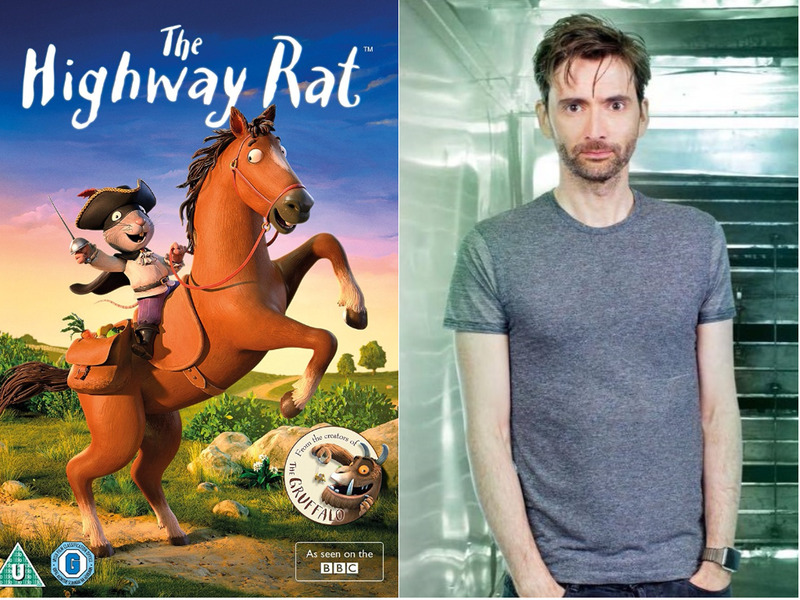 David Tennant plays the eponymous ravenous rodent in an adaptation of the swashbuckling story The Highway Rat, soon to be released on DVD in the UK. The animation is based on the richly imaginative book written by Julia Donaldson and illustrated by Axel Scheffler. The Highway Rat tells the tale of a ravenous rat who craves buns, biscuits and all sweet things. Tearing along the highway, he searches for sugary treats to steal, until his sweet tooth leads him to a sticky end. The voices of Rob Brydon, Frances De La Tour, Tom Hollander and Nina Sosanya also feature in the beautifully animated adventure of bandits and biscuits that the whole family will enjoy. The film is the work of Magic Light Pictures, the Oscar-nominated creators of the hugely successful Room On The Broom and The Gruffalo, and premiered on BBC One on Christmas Day.